Coker College was recently granted additional funding (approximately $682,000) from the National Science Foundation’s Scholarships in Science, Technology, Engineering, and Mathematics (NSF S-STEM) program to add a second cohort to the college’s STEM Scholars in Biology (SSB) program for high-achieving students interested in pursuing careers in STEM fields and who are in need of financial assistance to attend college. 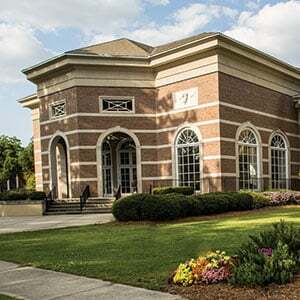 Coker is currently serving as the lead institution on a research project involving three additional colleges, using a five-year $4.4 million dollar grant from the NSF S-STEM program. The grant provides scholarship aid averaging $6,000 per year for each of the recipient's four years in college. Coker currently has 18 SSB scholars participating in its 2018 (class of 2022) cohort and now with the additional funding, the college will be able to add as many as 18 SSB scholars to a 2019 (class of 2023) cohort. The project will generate new information about factors contributing to the persistence and success of biology students who need financial assistance. It will contribute new information to the literature specific to low-income students and will ultimately help increase graduation rates of STEM scholars, while increasing their participation in a STEM-related graduate program or field of employment. In addition to the four-year scholarships, SSB participants will receive an integrated first-year experience, including a STEM-based first-year seminar, new laptop computers, mentoring by external scientists, intrusive advising from faculty and support from peer mentors, and research or project-based learning experiences. The impact of these activities on enrollment and retention, graduation, and post-graduate placement rates will be examined. All four colleges participating in the 2018 program belong to the Yes We Must Coalition, which strives to increase low-income and underrepresented students’ college-degree attainment at small, independent, nonprofit colleges and universities: Coker College (Hartsville, SC), College of Saint Elizabeth (Morristown, NJ), Ferrum College (Ferrum, VA), and Mercy College (Dobbs Ferry, NY). For more information about Coker’s SSB program, please contact Dr. Joseph Flaherty at jflaherty@coker.edu or 843-383-8079. Students interested in applying for Coker’s SSB 2019 cohort (entering Coker in the fall of 2019 and graduating in 2023) can apply here.